As usual, you can find those songs in Download section, with DDL available. I can try to write up a short listening experience sometime if you’re interested. 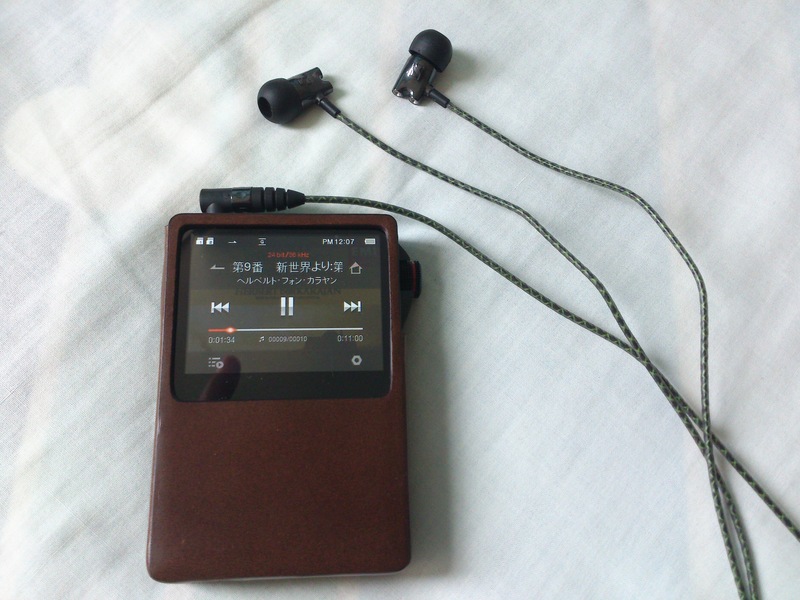 Anyway, I have an extra pair of slightly used IE800 which I would like to sell, condition is almost new and it looks like new. All accessories (unused) and original packaging included. If you are interested in this nice pair of earphones which is short in stock worldwide, please leave your contact details and I will get in touch with you. Finally, Kajiura will be having a LIVE in Hong Kong in coming September. I am considering attending; feel free to get in touch with me if you would like to go together. Okay, you might think I would be praising this album, but to your surprise, I won’t. It doesn’t mean I dislike this album, but there is one major thing bugs me about it. This is supposed to be a orchestral album, however there’s too much non-orchestral instruments used. You will hear a lot of guitar and piano (well, this one is acceptable, plus we all know how Tenmon is fond of piano, but piano should not play a major role in an orchestral album) in it. Besides, too much focus is placed on string instruments. I would like to hear a more balanced arrangement, with more usage of woodwind and brass instruments. And, even though it’s said to be performed by a symphony orchestra, to me it feels more like a chamber orchestra’s performance. Therefore, in the orchestral sense, this album is an disappointment. If you just see it as a general arrangement album though, then it’s pretty nice. My favorite track would be “THROUGH THE YEARS AND FAR AWAY” (again, too much piano and guitar, but I love it in the non-orchestral sense). She sang numerous game songs classics (SHUFFLE, Canvas 2, School Days) and quite a few anime songs (GRAVION, Canvas 2, Sumomomo Momomo) too. Not to mention she also does the voice of Ama Shigure in SHUFFLE. One of the reasons I’m writing this is to post the tracklist and the singers, but the album itself also worths mentioning. This character song album, unlike usual ones, have a collection of songs with quite unique styles. Some of them reminds me of songs from Sayonara Zetsubou Sensei, some of them have a feel of blues, and some of them have a heavy traditional taste. In addition to the list of popular seiyuu (singers), I’d suggest you to give this album a try. Shiro SAGISU Music from EVANGELION:2.0 YOU CAN (NOT) ADVANCE.